Jerry Codinera had a 52-31 win-loss record with Arellano University. 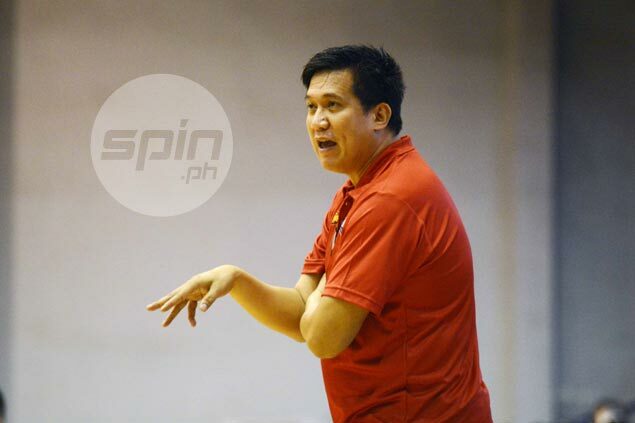 JERRY Codinera has stepped down from his post as the head coach of Arellano Chiefs, leaving the team midway through the NCAA Season 94 seniors basketball wars. The school announced the development on Thursday, with Junjie Ablan taking over in an interim role. Codinera has amassed a 52-31 record in five years at the helm for the Chiefs. The PBA great took over from Koy Banal in Season 90 and led Arellano to a runner-up finish to San Beda with Nard Pinto and Dioncee Holts leading the fight. Codinera once again helped the Chiefs to the finals in Season 92 with Jio Jalalon, Kent Salado and Lervin Flores anchoring the team, but lost anew to the Red Lions. Arellano currently sits sixth in the team standings with its 4-7 card this season.